THE scrapping of HS2 in favour of other rail schemes is reportedly being discussed within senior ranks of the Conservative Party, as the Brexit crisis continues. Prime Minister Theresa May is confronting a group of rebels who are against any compromises over such matters as a possible Customs Union. At the same time, speculation is growing that a leadership contest is becoming more likely, with the Cabinet said to be split over Brexit details. It has now been reported by The Times that Michael Gove has been sounding out MPs in informal discussions about whether they would prefer more rail schemes in the Midlands and North in preference to the high speed line. At the same time, other rumours claim that transport secretary Chris Grayling is poised to cancel Transpennine electrification, rather than give the go ahead for a partial upgrade with bi mode trains, and that Govia Thameslink Railway is being given two weeks to achieve performance improvements or lose its franchise. Indeed, with very little officially happening (the latest release from the Department for Transport announces an innocuous consultation over the next CrossCountry franchise) there is so much speculation that the rumours are rapidly outgrowing the facts, like dandelions on a lawn. 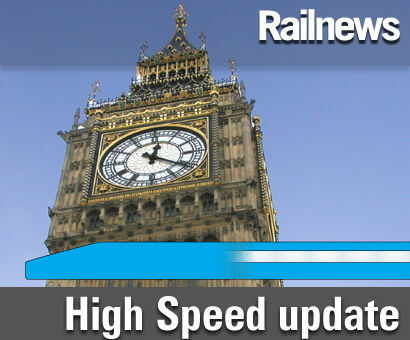 The talk over HS2 is just that, and conversations with a few backbenchers in the membersˆ Dining Room in the House of Commons are hardly statements of government policy. The heat of the fires of confusion is so intense, as the rumour mill gathers speed, that one internet source has even attributed the Conservative Home story about Michael Gove (which in turn was inspired by The Times) to the official party, rather than a self-driven Tory offshoot. Chris Grayling virtually said that GTR is close to getting a red card on 4 June, when he told the Commons: “If it is found that GTR are materially in breach of their contractual obligations, I will take the appropriate enforcement action against them. This includes using the full force of the franchise agreement and my powers under the Railways Act.” He has had a month since then to find out more. Of course, there might be something in what is being said – and we shall no doubt find out in due course which of these speculations (if any) rest on fact. Indeed, with the summer recess approaching, watch announcements from official sources carefully in the last day or so before Parliament rises. We certainly will.